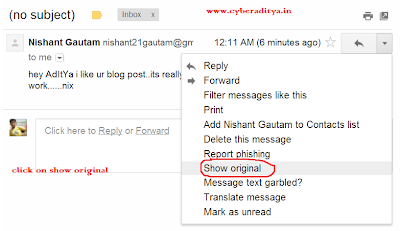 cyberaditya: How to check whether the email you received is Real OR Fake ? 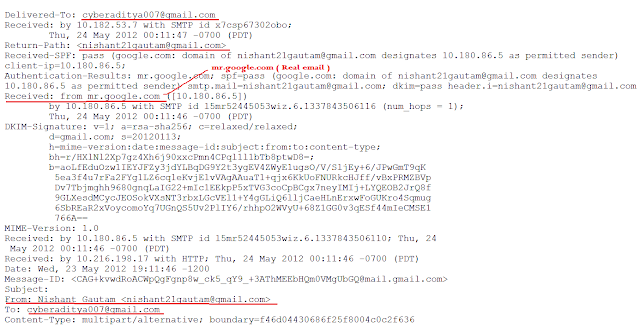 How to check whether the email you received is Real OR Fake ? 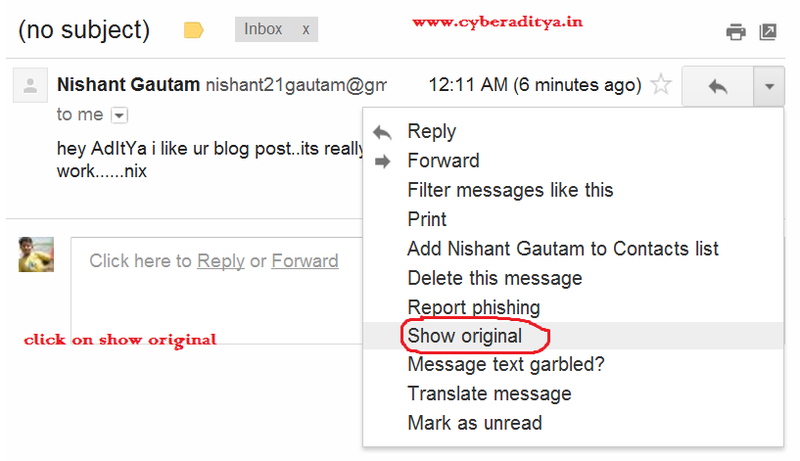 Hello friends, today I am sharing a very useful trick to check whether the Email you received is REAL or FAKE. 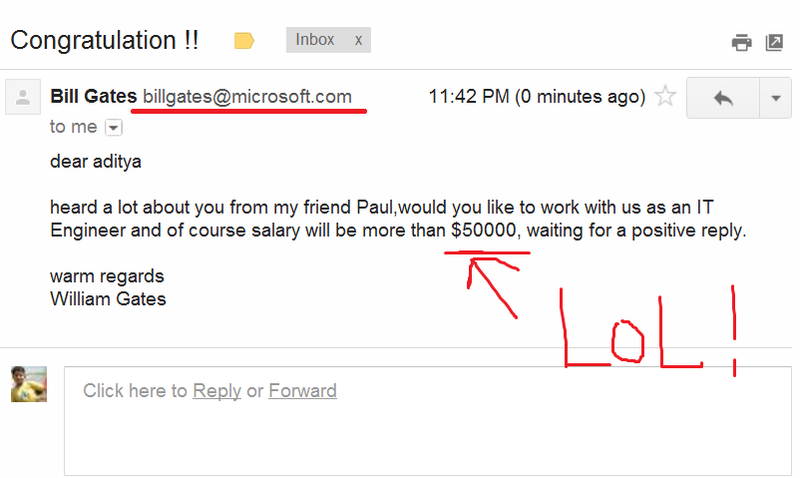 I think many of you had received a mail which offering you a lottery or Job from the names like William George etc... but these are fake mail to attract the victim to transfer some money to the senders A/C ..
but after consulting from my uncle I get shocked :( that the email I got is fake..
mail from my friend Nishant || real or fake ?? so the mail I received is real mail not a fake mail . 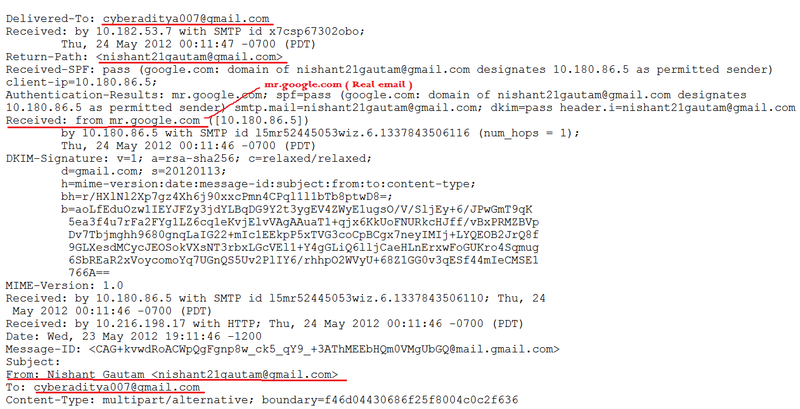 Received From : (since its not from mr.google.com) therefore its a fake mail which looks same as Previous Real mail. These are the simple steps to check whether the mail you got is Real or fake ! 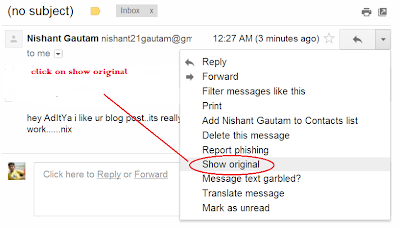 Please share this post with your friends to aware them from email spoofing. 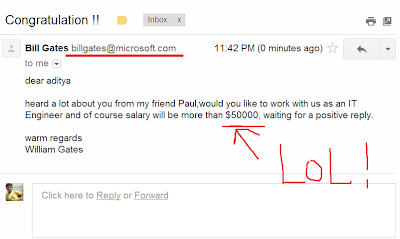 This is awesome, it's so useful since more and more we get emails that look like they are legit but they are just scams... thanks so much for taking the time to share this. 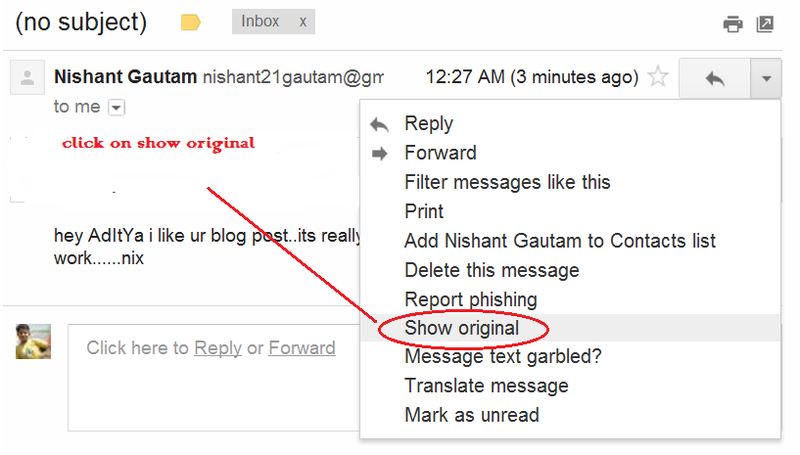 well done sir ....... i m new 2 ur blog ...... its reslly gr8 !! !